The Gen 5 Series is the ideal system for home and business owners who want a basic and affordable, high quality UV system with the ability to add an alarm system and or automatic water shut-off system down the road. 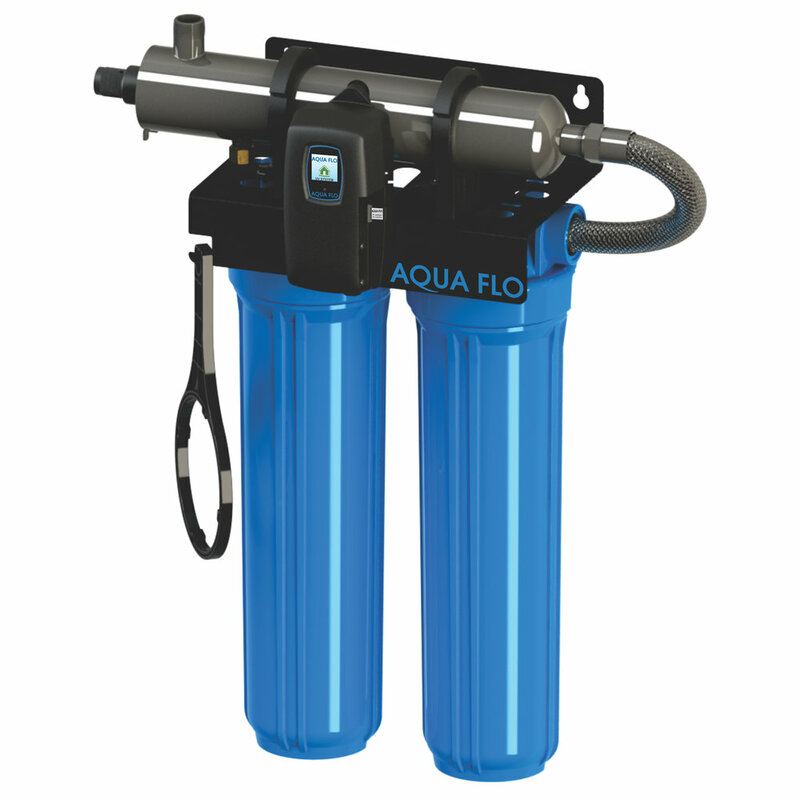 UV technology provides additional security for your water supply. 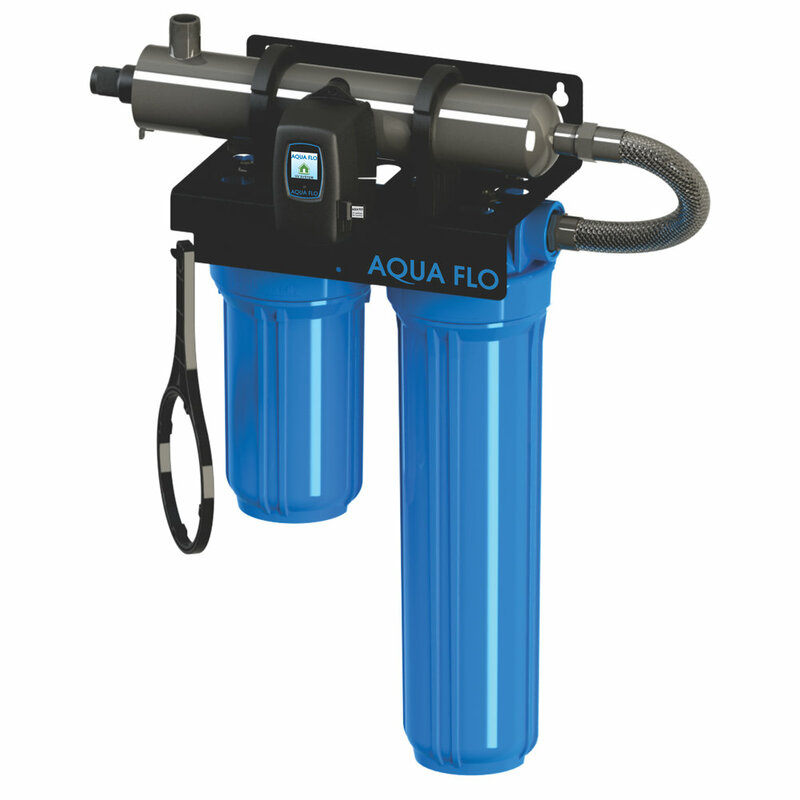 It is proven to control microbiological (bacteria and virus) issues in water including E.coli, Cryptosporidium and Giardia Lamblia without the use of chemicals. All Gen 5 models come equipped with ability to have a sensor system added that will set off an alarm if there is a lamp failure or if low UV conditions are detected. 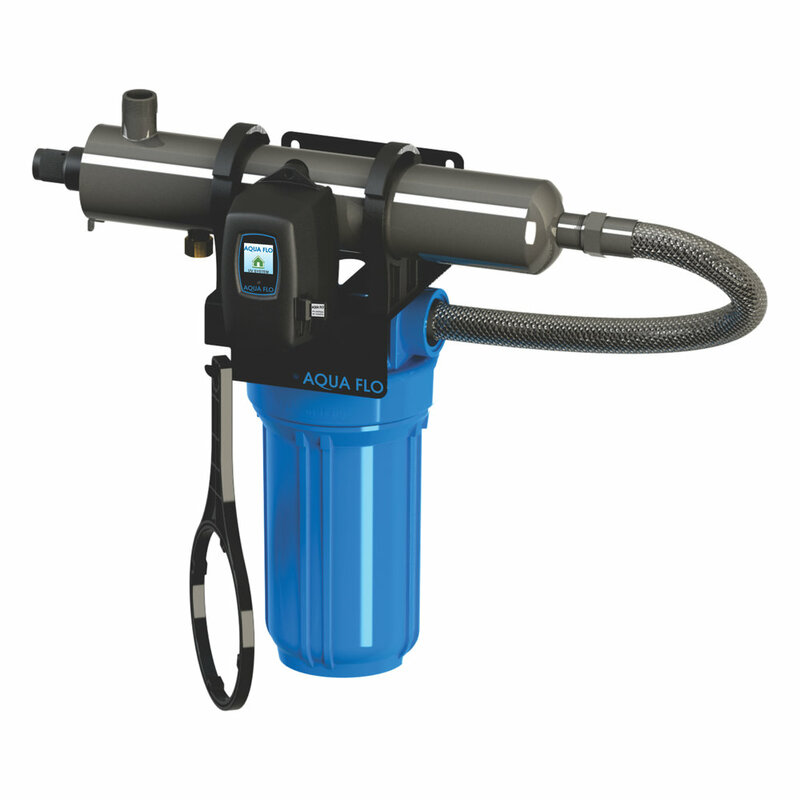 Should customers want added assurance that untreated water will never reach their taps, faucets or fixtures, the optional solenoid module can be added at any time to automatically shut off the water supply immediately after the alarm is set-off. What's the difference between a Gen 5 and Gen H5? 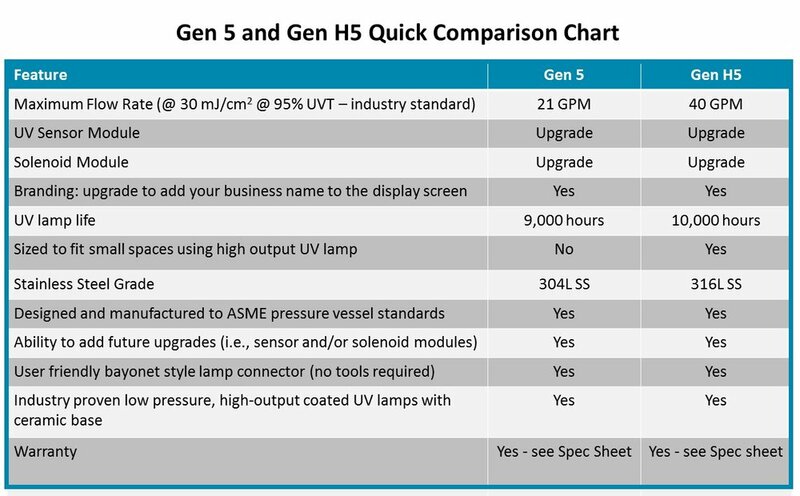 The Gen H5 has a high intensity UV lamp and wider tube to allow for higher output/flow rates than the Gen 5 model. The Gen H5 also has a longer lasting bulb and is ideal for smaller spaces as the tube is shorter. 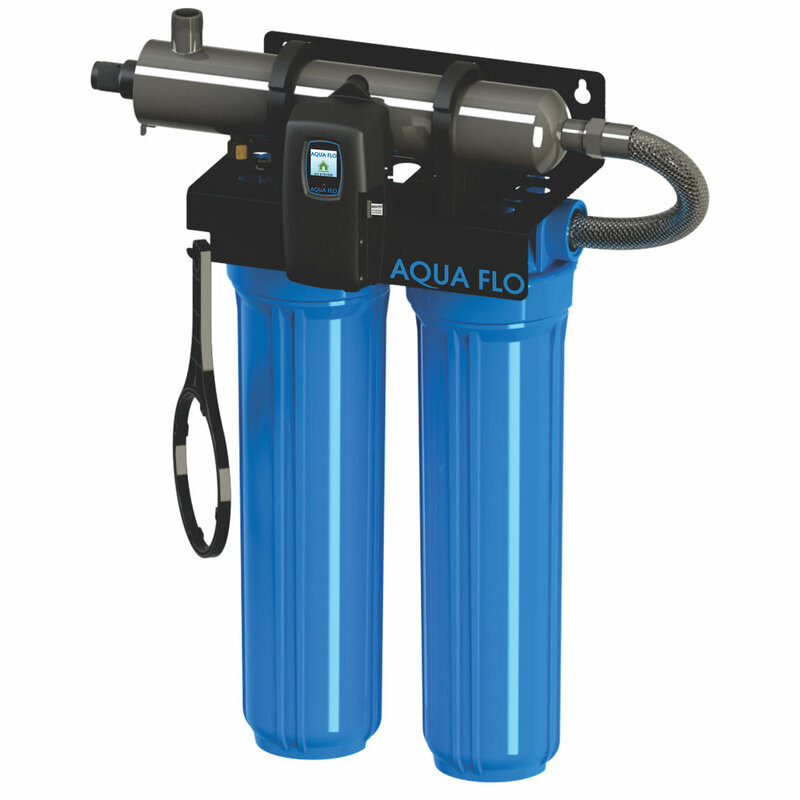 Our Gen Series UV Rack Systems give home, cottage and business owners the ability to combine the disinfection powers of UV with sediment and/or carbon pre-treatment filters that improve the performance of the UV system as well as the taste, smell and clarity of your water.